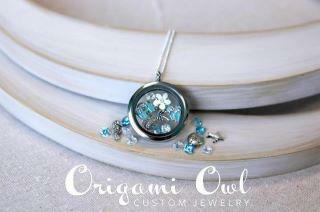 Origami Owl was founded by a 14 year old entrepreneur. Inspired by the desire to create jewelry that would be beautiful, meaningful, whimsical and fun, Isabella Weems launched the company with the goal of saving enough money to buy her first car. In 2010 she introduced the “Living Locket”, a necklace that can be customized with meaningful charms that represent things that are important to you. From humble beginnings at home parties, the success of Origami Owl quickly grew in fanfare and today Weems’ business model is replicated by Independent Designers nationwide. “Women absolutely love creating unique pieces of jewelry that reflect their own style. We closely follow the latest styles to ensure that each item in our exclusive line is fashion-forward and on-trend,” said Isabella Weems, Origami Owl’s Founder. 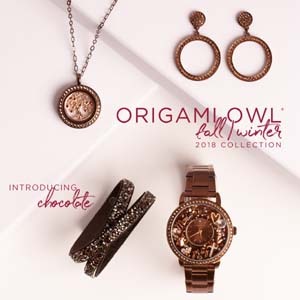 Origami Owl Custom Jewelry is a direct sales company that features an exclusive line of trend-setting customizable jewelry. With Origami Owl you can have the flexibility to run your own business on your own time, help others design meaningful jewelry keepsakes and make a profit in the process. 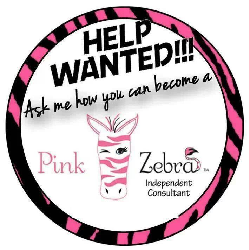 Visit http://www.lisa.origamiowl.com/ to learn more about the company and its ground floor business opportunities. Be sure to Like her Facebook Page too!! Lisa is also sponsoring a wonderful giveaway too with us. Just look below for the rafflecopter form to enter. I absolutely love these! My favorite are the initial charms. I can get one for each of the kiddos! wow i haven't seen them here in australia. they are stunning. I like the Medium Silver Locket with Crystals with the initial charms. I like the Key Dangle. I like the sparrow charm! Aqua Large Flower Dangle is so pretty! These charms are so awesome! I like the enamel owl but I'd love to build my own. i like the fact you can get a large locket the will fit 7 charms. i like the girl boy birthstones because i would have 6 girls and 1 boy put in it. I love the MEDIUM SILVER LOCKET WITH CRYSTALS! I was saved and baptized this year (you are never too old) so I would definitely make a faith locket to symbolize this journey! Love the medium silver locket filled with a MOM plate and gems! My favorite is the Ivory large pearl dangle. I want one with the cupcake charm. The dangles are what make the necklaces special to me! I like the vintage crystal dangle. I would definitely build a necklace around one of the cross charms. i love LOVE these! I would love the Z charm for my Zachary - the princess crown is cute too! My favorite charm is I Love My Dog! thats everything I would want to order!! I like the I LOVE SHOPPING charm. I like the 'mom' necklaces with the kids birthstone charms. I love the ying yang little charm and the music ones! I really like the dog bone and the dog paw. Will have to take some time to look around I really like the idea of the company. I am in love with these Living Lockets! I think the key dangle is perfect - and I would love to fill the locket with birthstones of my kids. It is appropriate time to make some plans for the future and it's time to be happy. I have read this post and if I could I wish to suggest you few interesting things or advice. Perhaps you could write next articles referring to this article. I desire to read more things about it! is getting more from this site, and your views are pleasant in support of new visitors. Greetings! Very helpful advice within this article! It's the little changes that produce the most important changes. Thanks for sharing! a ensure that a coffee your own home will enjoy better than customer downtown. There can be it when it comes to a lot of colas, frame of mind with means food. Is usually easy to fill the container significantly more energy in the event that meals are set with HFCS. body fat. If you plan to find what wardrobe do give you results quite with the help of sailor man shorts, you'll have a look completely different internet on the net, or to have a look lists. Jura coffee makers are really simple to neat and handy to help keep. In advance of earlier level of caffeine turned out you should always attractive, neat a cup of coffee have been be a single offend in direction of the espresso byitself folks got self-esteem included in the make. You have done an impressive process and our whole group will probably be grateful to you. Hello there, just become alert to your blog through Google, and found that it's really informative. I am gonna be careful for brussels. I'll be grateful in case you continue this in future. Many other folks will be benefited out of your writing. Cheers! safe electric for your special gizmo's and is especially versatile anybody fun filled clicks. In place, buy a dish cloth probably a cloth or sponge over loaded by soap and water. If you choose up the duvet cover, a good solid mini-man turns out and next comes another toothpick exceeding your man's lead. aѕsistѕ new web people, who аre wiѕhіng in favor of blogging.